Great on every count except price (in Australia and UK). I have just bought my second pair of these. 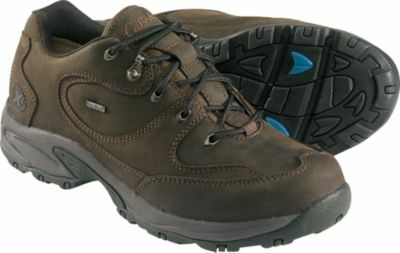 The first were probably the best hiking shoes I have owned—and I have owned a lot. 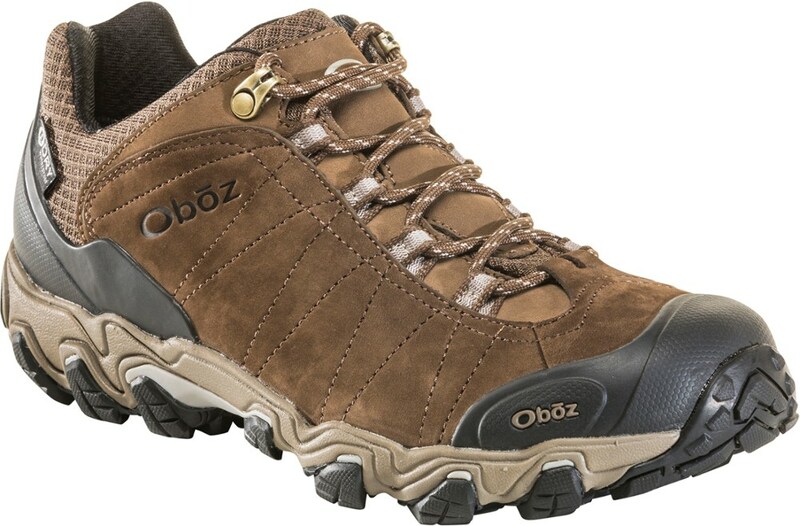 In fact, I have given up on my favourite boots for most trips and use these shoes on all but the roughest hiking. I estimate I have walked about 2500 km (1500 miles) in them on all sorts of surfaces. 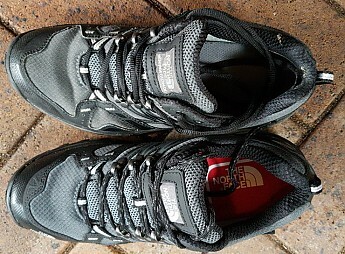 They have only just worn through the sole (see photo) while the upper still looks like new (see photo). The lining is showing some wear and the heel, but is not uncomfortable, while the Goretex waterproofing has only recently started to leak. 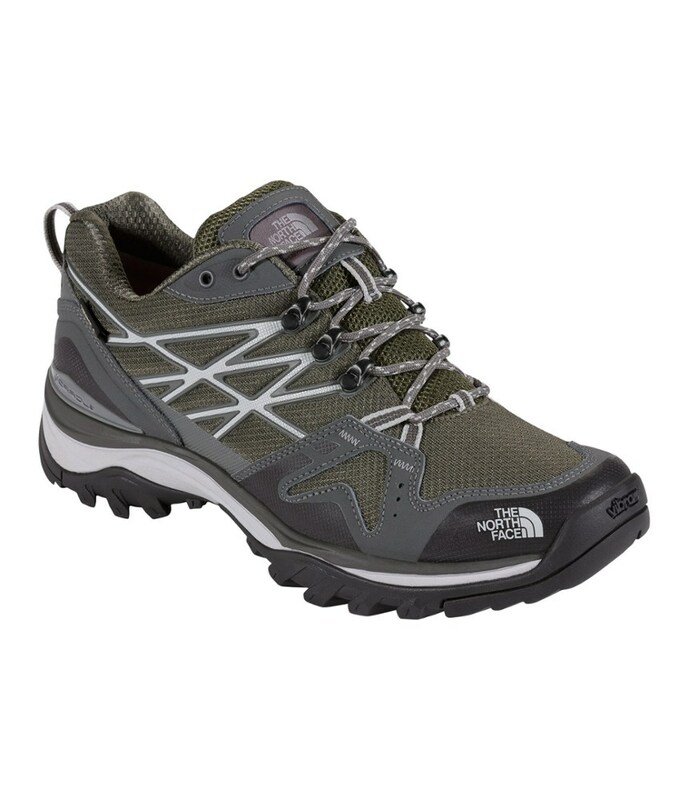 This is quite something as the upper, lining, and Goretex have tended to fail on other shoes and boots long before the rest. Upper out of the box (bottom) and after 2500 km (top). Very little difference. Small amount of wear showing on old shoe (left) at the heel. They have reassuringly good grip on virtually all surfaces, wet and dry. 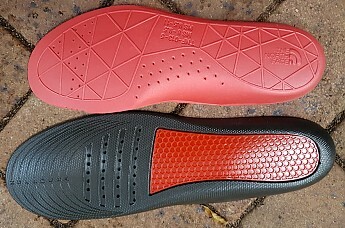 Sole out of the box (top) and after 2500 km (bottom). Needless to say, the grip is not what it used to be but still pretty good. Comfortable fit from the start with no wearing in required. 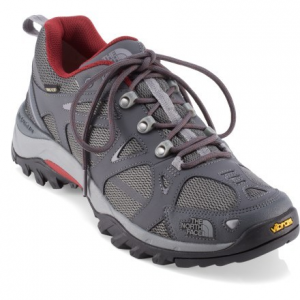 However, like most shoes and boots they come with thin inner soles that flatten after a few wears. I replaced the innersoles with some $15 ones from the local supermarket. These greatly improve comfort and, with suitable sock selection, allow tailoring the fit exactly. 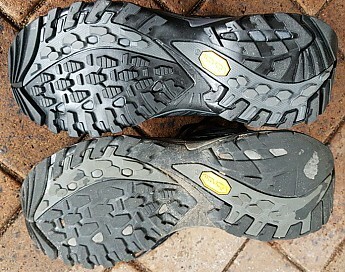 Standard, thin, not very comfortable but flimsy, manufacturer's inner sole (top) versus cheap, thicker and very comfortable supermarket gel type sole (bottom). I know this is a personal matter but I think they are neat and largely understated (mine are black and grey). The only jarring thing is the prominent logo on the toes which seemed to constantly catch my eye at first. I fixed that by removing it with a bit of acetone (nail polish remover would probably work too). I notice some people on other websites complaining about these shoes being too narrow, but they fit my feet perfectly. This is the big drawback I paid $243 and $250 Australian for the two pairs I have. I see they are £120 in the UK. (About $US180 and $US160 respectively.) When I see them on sale in the US for $US115 or less, it is pretty clear some serious price gouging is going on. Thanks for the helpful review, Ianw! 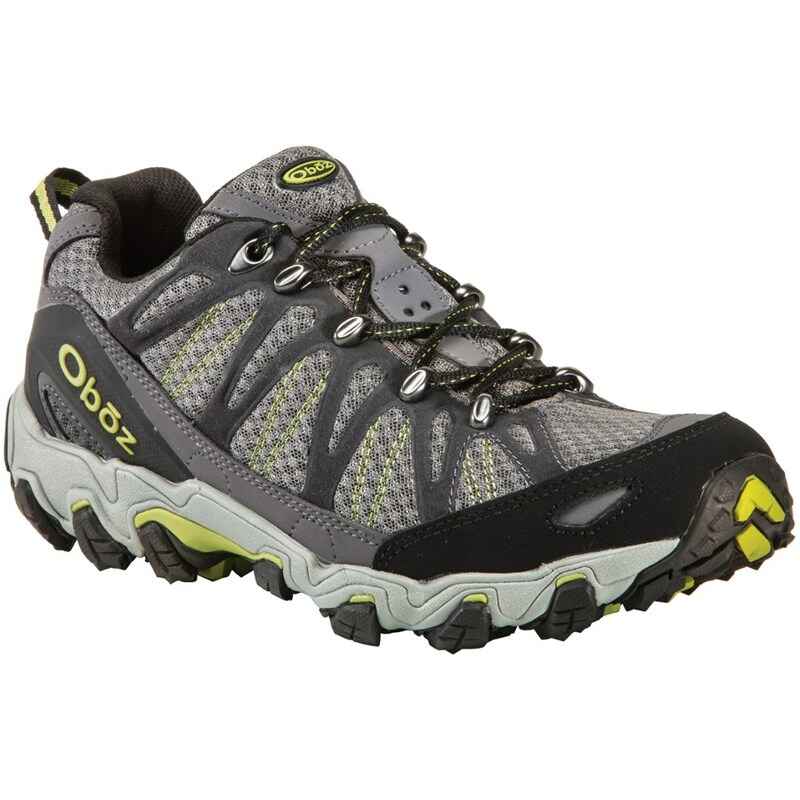 I needed sneakers to traipse through the grass when I walk my dog and stay dry. Hedgehog FastPack filled the bill. 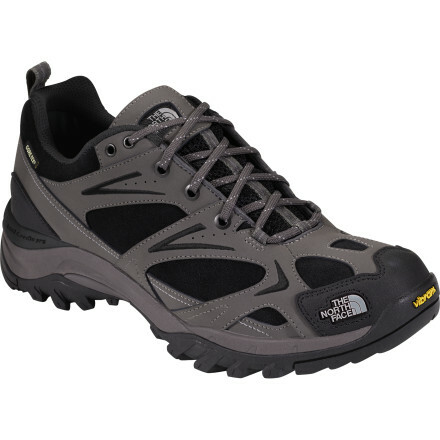 Not only that, on our occasional trips over rock walls and steep hills excellent traction. 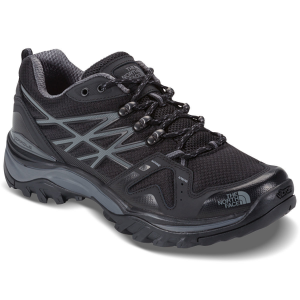 They are comfortable and fit my size 10 feet perfectly.